September 29, 2011 “Salon” — The FBI has received substantial criticism over the past decade — much of it valid — but nobody can deny its record of excellence in thwarting its own Terrorist plots. 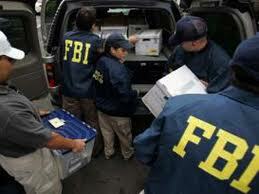 Time and again, the FBI concocts a Terrorist attack, infiltrates Muslim communities in order to find recruits, persuades them to perpetrate the attack, supplies them with the money, weapons and know-how they need to carry it out — only to heroically jump in at the last moment, arrest the would-be perpetrators whom the FBI converted, and save a grateful nation from the plot manufactured by the FBI. Last year, the FBI subjected 19-year-old Somali-American Mohamed Osman Mohamud to months of encouragement, support and money and convinced him to detonate a bomb at a crowded Christmas event in Portland, Oregon, only to arrest him at the last moment and then issue a Press Release boasting of its success. In late 2009, the FBI persuaded and enabled Hosam Maher Husein Smadi, a 19-year old Jordanian citizen, to place a fake bomb at a Dallas skyscraper and separately convinced Farooque Ahmed, a 34-year-old naturalized American citizen born in Pakistan, to bomb the Washington Metro. And now, the FBI has yet again saved us all from its own Terrorist plot by arresting 26-year-old American citizen Rezwan Ferdaus after having spent months providing him with the plans and materials to attack the Pentagon, American troops in Iraq, and possibly the Capitol Building using “remote-controlled” model airplanes carrying explosives. (1) The bulk of this latest FBI plot entailed attacks on military targets: the Pentagon, U.S. troops in Iraq, and possibly military bases. The U.S. is — as it has continuously announced to the world — a Nation at War. The Pentagon is the military headquarters for this war, and its troops abroad are the soldiers fighting it. In what conceivable sense can attacks on those purely military and war targets be labeled “Terrorism” or even illegitimate? The U.S. has continuously attacked exactly those kinds of targets in multiple nations around the world; it expressly tried to kill Saddam and Gadaffi in the wars against their countries (it even knowingly blew up an entire suburban apartment building to get Saddam, who wasn’t actually there). What possible definition of “Terrorism” excludes those attacks by the U.S. while including this proposed one on the Pentagon and other military targets (or, for that matter, Nidal Hasan’s attack on Fort Hood where soldiers deploy to war zones)? (2) With regard to the targeted building that is not purely a military target — the Capitol Building — is that a legitimate war target under the radically broad standards the U.S. and its allies have promulgated for themselves? The American “shock and awe” assault on Baghdad destroyed “several government buildings and palaces built by Saddam Hussein”; on just the third day of that war, “U.S. bombs turn[ed] key government buildings in Baghdad into rubble.” In Libya, NATO repeatedly bombed non-military government buildings. In Gaza, Israeli war planes targeted a police station filled with police recruits on the stated theory that a valid target “ranges from the strictly military institutions and includes the political institutions that provide the logistical funding and human resources” to Hamas. Obviously, there is a wide range of views regarding the justifiability of each war, but isn’t the U.S. Congress — which funds, oversees, and regulates America’s wars — a legitimate war target under the (inadvisedly) broad definitions the U.S. and its allies have imposed when attacking others? If the political leaders and even functionaries of other countries with which the U.S. is at war are legitimate targets, then doesn’t that necessarily mean that Pentagon officials and, arguably, those in the Congress are as well? (3) The irony that this plot featured “remote-controlled aircraft filled with plastic explosives” is too glaring to merit comment; the only question worth asking is whether the U.S. Government can sue Ferdaus for infringing its drone patents. Glaring though that irony is, there is no shortage of expressions of disgust today, pondering what kind of dasterdly Terrorist monster does it take to want to attack buildings with remote-controlled mini-aircraft. (4) Wouldn’t the FBI’s resources be better spent on detecting and breaking up actual Terrorist plots — if there are any — rather than manufacturing ones so that they can stop those? Harboring hatred for the U.S. and wanting to harm it (or any country) is not actually a crime; at most, it’s a Thought Crime. It doesn’t become a crime until steps are taken to attempt to transform that desire into reality. There are millions and millions of people who at some point harbor a desire to impose violent harm on others who never do so: perhaps that’s true of a majority of human beings. Many of them will never act in the absence of the type of highly sophisticated, expert push of which the FBI is uniquely capable. Is manufacturing criminals — as opposed to finding and stopping actual criminals — really a prudent law enforcement activity? (5) Does the FBI devote any comparable resources to infiltrating non-Muslim communities in order to persuade and induce those extremists to become Terrorists so that they can arrest them? Are they out in the anti-abortion world, or the world of radical Christianity, or right-wing anti-government radicals, trying to recruit them into manufactured Terrorist plots? (6) As usual, most media coverage of the FBI’s plots is as uncritical as it is sensationalistic. The first paragraph of The New York Times article on this story described the plot as one “to blow up the Pentagon and the United States Capitol.” But the FBI’s charging Affidavit (reproduced below) makes clear that Ferdaus’ plan was to send a single model airplane (at most 1/10 the size of an actual U.S. jet) to the Capitol and two of them to the Pentagon, each packed with “5 pounds” of explosives (para. 70); the Capitol was to be attacked at its dome for “psychological effect” (para 34). The U.S. routinely drops 500-pound or 1,000-pound bombs from actual fighter jets; this plot — even if it were carried out by someone other than a hapless loner with no experience and it worked perfectly — could not remotely “blow up” the Pentagon or the Capitol. (7) As is now found in almost every case of would-be Terrorist plots against the U.S. — especially “homegrown Terrorists” — the motive is unbridled fury over (and a desire to avenge) contintuous U.S violence against Muslim civilians. Infused throughout the charging Affidavit here are such references to Ferdaus’ motives, including his happiness over the prospect of killing U.S. troops in Iraq; his proclamation that he’s “interested in traveling to Afghanistan” to aid insurgents; his statement that “he wanted to ‘decapitate’ the U.S. government’s ‘military center’ and to severely disrupt . . . the head and heart of the snake” (para 12) and to “essentially decapitate the entire empire” (para 34) (compare that language to how the U.S. described what it tried to do in Baghdad). Using drones to decapitate the leadership and government infrastructure of a nation at war; I wonder where he got that idea. Cause that would be a huge scare . . . the point is you want to scare them so they know not to mess with you . . . They have . . . . have killed from us, our innocents, our men, women and children, they are all enemies (para 19). If the FBI’s allegations are accurate, then it’s clear Ferdaus has become hardened in his hatred; he talks about a willingness to kill American civilians because they have become part of the enemy, and claims that he fantasized about such attacks before the FBI informant spoke to him. But whatever else is true, it’s simply unrealistic in the extreme to expect to run around for a full decade screaming WE ARE AT WAR!! — and dropping bombs and attacking with drones and shooting up families in multiple Muslim countries (and occupying, interfering in and killing large numbers before that) — and not produce many Rezwan Ferdauses. In fact, the only surprising thing is that these seem to be so few of them actually willing and able to attack back that — in order to justify this Endless War on civil liberties (and Terror) — the FBI has to search for ones they can recruit, convert, convince, fund, and direct to carry out plots. Hartmann: Could Hacktivists hack a Diebold Machine? Today we learned that our democracy could be hacked by an eighth grader with 26 bucks. That’s what a security assessment team with the US Department of Energy discovered when they successfully hacked into a Diebold electronic voting machine – and were able to change voting results without leaving a trace behind. These are the same guys that make sure the facilities that manufacture nuclear bombs are secure – and the security assessment team leader said about the voting machine hack, “this is a national security issue.” Despite all this – in next year’s election – 30% of voters are expected to use these very same “hack-easy” voting machines – that the rest of the world have shelved citing security concerns. And today – with the rise of hack-activist groups like Anonymous – this glaring hole in the security of our elections – could be exploited for absurd purposes…and, the nominee is…Scooby Doo? MANCHESTER, N.H. (AP) — Republican presidential candidate Ron Paul is condemning the Obama administration for killing an American born al-Qaida operative without a trial. Egyptians are getting ready to mount further mass protests on Friday. Millions are expected to come onto the streets to express their dissatisfaction at the way their country is being run post-Mubarak. Public anger is accompanied by threats from dozens of political parties to boycott the upcoming parliamentary elections. Do not judge a book by its cover, Egyptians urge overseas observers. When reading “Post-Mubarak Egypt,” look between the lines and you will find that the country’s “new chapter” has not been rewritten, edited, or even slightly revised. Mubarak may be gone but his policies are not. And while his case is ongoing at tribunal, new figures from Human Rights Watch claim more civilians – some 12,000 – have been forced to face military trials over the last six months than during the entire 30-year rule of Mubarak. “On average, civilians are given five to seven years in prison… a lot of torture has occurred since SCAF has come into power,” journalist and activist Gigi Ibrahim explains. Actor Aly Sobhy does not clown around when it comes to the Supreme Council or SCARF. He has taken part in protests since day one and still has scars from being detained. Like Mubarak, SCAF gets the support it needs to rule Egypt from abroad. “The aid that we get – the US $1.5 billion a year that Egypt receives from the USA – most of it goes to the Supreme Council, to the army, to SCAF,” Gigi Ibrahim says. And progress on human rights has come to a stop or even gone into reverse since the “new” regime took over. “In many human rights areas, it is the same as before January 25, and in others it’s getting worse,” a Cairo-based human rights activist Ramy Raoof told RT. According to the UK Prime Minister David Cameron, “the Arab Spring is a massive opportunity to spread peace, prosperity, democracy.” But, while the West boasts that the history books will record a change for the better, Egyptians are left reading the writing on the wall. The European Parliament voted to support the UN recognition of a Palestinian state. According to a statement issued today, the Parliament assures the legitimacy of the Palestinian bid to the UN and asks all EU countries to adopt the same position. The Parliament endorses the UN recognition of Palestine as a state and recognizes the Palestinians’ right of self determination and sovereignty while stressing the importance of finding a solution for the Palestinian-Israeli conflict during the Arab Spring. The Parliament said it is important to support the two-state solution based on 1967 borders with Jerusalem as the capital of both states. The statement calls for complete freezing of settlement construction in the West Bank and Jerusalem. The statement assures the solution will only come through non-violent means and asks both sides to go back to negotiations while avoiding any steps that may affect the peace-making process from taking place. Israel approved to build 1,100 new settlement units in the East Jerusalem settlement of Gilo on Tuesday, just days after Palestinian President Mahmoud Abbas submit the bid to the UN. The West condemned this move and pushed for negotiations between Israel and Palestine. The Parliament stressed the importance of guaranteeing Israel security while granting Palestinians their rights as a result of the 66th meeting of the General Assembly. Palestinian Ambassador to the EU, Laila Shahid, praised the European Parliament’s position, who assured the legitimacy of the Palestinian request at the UN. 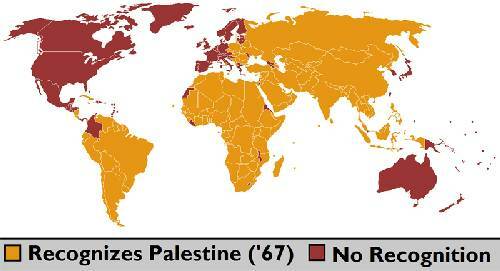 “The European Palrliament [endorsed the UN recognition of a Palestinian State]. That is the voice of the European people,” she said. The Parliament expressed their support by signing a statement by Avaaz, an organization that campaigned nationally on behalf of Palestinians. Veronique de Keyster, Vice President of the Middle East Committee and member of the Socialist group, praises the political courage of MPs and assured her groups support of the Palestinian request. Keyster said she and her party recognized the Palestinians’ right of becoming a member state, especially because it has been 63 years since Israel’s recognition by the UN and 12 years since Europeans promised to recognize a Palestinian state. “Europe can’t tell the Palestinian people, ‘This Arab Spring is not yours,’” she said. In a discussion with the EU high representative for foreign affairs, Catherine Ashton, the president of the Green group expressed his group’s support to the Palestinian request and criticized the weakness of the European position until now. Could censorship of children’s art prove a turning point? If I were one of the Zionist operatives who pressured the Museum of Children’s Art in Oakland to cancel the exhibit of Gaza children’s drawings, I’d be kicking myself right now. If they’d simply ignored the whole thing and let its scheduled two-month run proceed, probably no more than a few hundred people, most of them school children, would have seen the show. It’s not as if MOCHA is a major attraction. But thanks to the ham-handed censorship engineered by the Jewish establishment – and the determined fight-back of the Middle East Children’s Alliance and others opposed to such bullying – thousands of people around the world have seen the kids’ pictures. Last Saturday 500 or so crowded into a makeshift storefront gallery and spilled over into the street outside at an upbeat grand opening of the show around the corner from MOCHA – see Annie’s description here, video here (including the music of the Brass Liberation Orchestra, featuring my daughter Sarah on snare drum), more video and photos here and here, and a frustrated Zionist take on the event here. Thousands more have seen at least some of the images online – here at Mondoweiss, on Facebook, on YouTube, even in a slideshow posted on the online editorial pages of the two largest newspapers in the East Bay. And after the Oakland run is over, the show will very likely continue elsewhere – MECA’s been swamped with requests from groups all over the world who want to show it next. Powerful as the pictures are, another aspect of this episode may prove even more important in the long run: it has brought the power of the local Israel lobby, and their determination to use it to suppress Palestinian perspectives, out into the open, for all to see. That’s partly because the Anti-Defamation League and its allies can’t resist boasting about their “victory,” Pyrrhic as it may be. But it’s also because MECA and friends have worked hard to spell out what we all know really went down here, despite the MOCHA board’s attempt at apologetic obfuscation. Outraged activists spread the story far and wide via listservs, Twitter, Facebook, etc., and MOCHA’s e-mail account and Facebook page (apparently now closed down) were barraged with indignant messages. 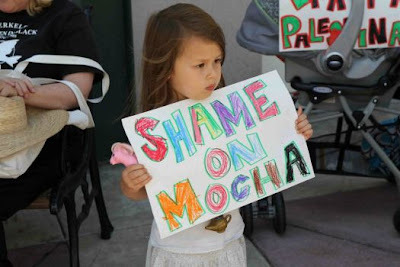 A protest rally outside MOCHA last Friday afternoon (video and photos here and here), in the run-up to Saturday’s opening, wasn’t huge, but it attracted representatives from some important constituencies beyond the usual Palestine-solidarity activists. Much of the organizing energy behind the event came from San Francisco’s Arab Resource & Organizing Center, and dozens of Muslim Americans (including a slew of young women in hijab) turned out. In addition, Betty Olson-Jones, president of the Oakland Education Association (the local teachers’ union), read a powerful letter, approved unanimously by the OEA executive boad, condemning the museum board’s decision to cancel the show. (Despite its name, MOCHA is mainly an art-in-the-schools program, so the teachers’ statement carries particular weight.) And Cecilie Surasky of Jewish Voice for Peace delivered a forceful and well-received speech condemning the censorship from a Jewish perspective. Clearly the museum board has felt the heat. One piece of evidence: During the Friday rally MECA associate director Ziad Abbas reported that a representative of the board had called just a half hour earlier and offered to have “A Child’s View from Gaza” shown at MOCHA after all – provided MECA would agree to some unspecified “modifications” to the show. Appropriately, MECA director Barbara Lubin apparently told MOCHA where to stick that idea – in addition to a principled refusal to allow the childrens’ expression to be censored, MECA had already that morning signed a two-month lease on the storefront around the corner, which is actually a much more visible location than the museum itself. Even the mainstream corporate media has covered the controversy, on the whole much more fairly than they usually do when the topic involves Palestine. The San Francisco Chronicle pointedly listed several past MOCHA exhibits that included images of violence, belying the museum board’s sudden reluctance to expose children to such sights. The two main East Bay papers (now owned, like nearly all newspapers in the Bay Area except the Chronicle, by one company) have been even better: In addition to the editorial Adam excerpted here, both the Oakland Tribune and the Contra Costa Times, which claims a circulation of about 168,00 in other sections of the East Bay, have carried two excellent columns by staff columnists shredding MOCHA’s decision to cancel the exhibit – here and here. I’m not sure about TV – I hardly ever watch it – but the story has also been all over the radio, and not just on Pacifica’s KPFA. Predictably, National Public Radio’s story on Weekend Edition Saturday gave a lot of time to Rabbi Douglas Kahn, executive director of the Jewish Community Relations Council of the East Bay, apparently one of the principal perps in this case. So did Michael Krasny during a half-hour segment on Forum, a popular interview show aired on KQED, the Bay Area’s largest public radio outlet, yesterday. But both shows also gave the outspoken Barbara Lubin considerable time to lay out her perspective. 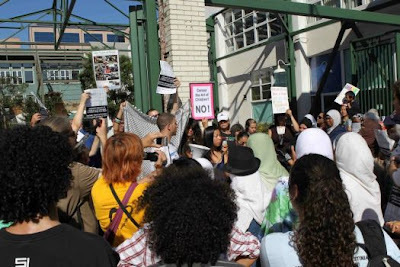 On KALW, San Francisco’s alternative public radio station, Dore Stein, DJ of a wonderful Saturday evening music show called Tangents, devoted the segment he calls Gaza Corner, a weekly feature on the show since the 2010 flotilla attack, to the MOCHA case last weekend. And yesterday (as Annie noted in comments at the time) host Rose Aguilar, host of KALW’s popular Your Call interview show, devoted her whole hour to discussion and call-ins with MECA associate director Abbas and Susan Greene, a clinical psychologist and artist who has worked on Palestine-themed murals in Gaza, the West Bank, Olympia, WA, and San Francisco as part of the Break the Silence Mural Project. Obviously, none of this debate changes the facts on the ground in Palestine, and the power of the Israel lobby in national politics seems to go stronger by the week. But even though the lobby likes to show off its power on ceremonial occasions, it prefers to do its dirty work in the dark, and forcing its machinations out into the open, as I think we’ve done to a significant degree in this case, can only lead more Americans to question and eventually challenge it. Alice Walker, in her inspiring blog post on MOCHA’s cancellation of the Gaza exhibit, compared it to the Daughters of the American Revolution’s infamous 1939 refusal to allow Marian Anderson, the celebrated black contralto, to perform at Constitution Hall in Washington, D.C. That decision provoked widespread outrage, and Anderson eventually sang instead on the steps of the Lincoln Memorial before an integrated crowd of 75,000 and a national radio audience. The incident is now remembered as a milestone in the demise of overt racial segregation in this country. Of course, Anderson had Franklin and Eleanor Roosevelt on her side, at least in that dispute. Today, unfortunately, Barack Obama has unabashedly lined up on the side of the racists when it comes to Israel/Palestine (as has Michelle, if only by her silence). Still, the resistance that’s greeted the cancellation of “A Child’s View From Gaza” over the last few weeks leaves me thinking that this incident might yet go down as something of a turning point, at least in the Bay Area and perhaps beyond, in the battle against Zionist thought control. The Obama administration has asked the US supreme court to back the centrepiece of the president’s sweeping healthcare overhaul – the requirement that all Americans have health insurance. The appeal was largely expected, as a high court ruling against the law could be a fatal blow to Obama’s signature domestic policy achievement, and could have major implications for his re-election bid. The same day the administration filed its appeal, 26 states and a major business group urged the justices to strike down the entire law, which would have a far-reaching impact on future healthcare coverage for Americans and company costs. The case is likely to be heard and decided in the supreme court’s upcoming term, which begins next week and lasts through June 2012. A ruling is likely in the midst of the campaign for the November 2012 elections. The administration and the opponents of the law called for a quick ruling by the high court to resolve uncertainty affecting the federal government, states and companies about the law’s key provisions that are taking effect. The 26 states and the National Federation of Independent Business argued in their appeals the entire law should be invalidated because Congress exceeded its powers requiring that Americans buy health insurance or face a penalty. The Obama administration filed its own appeal in which the Justice Department argued the so-called individual mandate, due to take effect in 2014, was constitutional and said the issue was appropriate for supreme court review. “Throughout history, there have been similar challenges to other landmark legislation such as the Social Security Act, the Civil Rights Act and the Voting Rights Act, and all of those challenges failed,” the Justice Department said. “We believe the challenges to Affordable Care Act … will also ultimately fail and that the supreme court will uphold the law,” the department said in a statement. At issue was a ruling by a US appeals court in Atlanta in August that declared unconstitutional the individual insurance requirement but refused to strike down the entire law. That decision conflicted with rulings by other appeals courts that have upheld the law or have rejected legal challenges, including a lawsuit by the state of Virginia that was dismissed earlier this month on procedural grounds. The law, passed by Congress and signed by Obama in 2010 after a bruising political battle, is expected to be a major issue in the 2012 elections as Obama seeks another four-year term. Republican presidential candidates oppose it and Republicans in Congress have pushed to repeal the law. Obama has championed the law as a major accomplishment of his presidency and as a way to try to slow soaring healthcare costs while expanding health insurance coverage to the more than 30m Americans without it. The supreme court has long been expected to have the final word on the law’s constitutionality. The dispute has important legal, political and financial implications for companies in the healthcare field. Florida attorney general Pam Bondi said the states sought supreme court review of their lawsuit. “This healthcare law is an affront on Americans’ individual liberty and we will not allow the federal government to violate our constitutional rights,” she said. The Obama administration earlier this week said it decided against asking the full US appeals court for the 11th circuit to review the August ruling by a three-judge panel of the court that found the insurance requirement unconstitutional. That decision cleared the way for the administration to go to the supreme court. 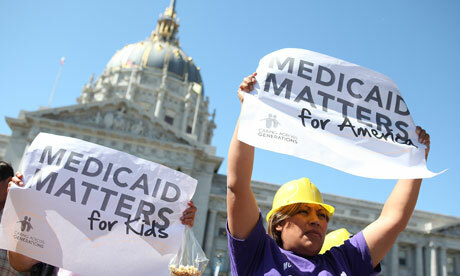 The states in their appeal also argued the law’s expansion of Medicaid, a federal-state partnership that provides health care to low-income Americans, was unconstitutionally coercive, forced upon the states. A senior Justice Department official told reporters that political considerations played no role in moving for supreme court review. The official said it was important to get a ruling soon so planning for the far-reaching law can proceed. Is Another Depression Possible? 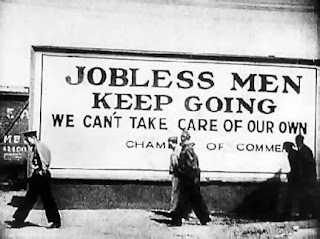 : A Comparison of "The Great Depression" and "The Great Recession"
This dependence on two main industries to support the entire US economy led to quite serious problems as in the case of depending on the spending habits of the upperclass to support the economy, if the expansion of either the radio or automobile industries slowed down or halted, the US economy would meet the same fate. Though fewer suspects died in police custody this year than last, the number of reported incidents of torture is on the increase, according to police watchdog figures released. During the 2010-2011 financial year, 797 suspects lost their lives in police custody – 63 fewer than in the previous year. But the number of reports of torture rose from five to 41 cases. The Independent Complaints Directorate released its report yesterday in Pretoria. Deputy Police Minister Maggie Sotyu revealed that deaths in custody were among 5869 complaints received nationally by the directorate . 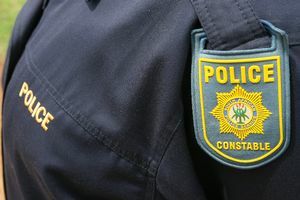 Gauteng was the source of the highest number of misconduct complaints against officers at 546, followed by Western Cape and Eastern Cape, at 485 and 448, respectively. Sotyu welcomed the 7% reduction in deaths in police custody or as a result of police action. She also lauded a 15% drop in the number of misconduct cases. ICD executive director Francois Beukman said that, of the 797 deaths in police custody, 540 were as a result of “police action”. Eighty percent of the suspects died during the commission of a crime, during escapes or attempted escapes, or during arrests or investigations. Of those, 87 were killed by police in KwaZulu-Natal and 48 in Gauteng. Most of the suspects killed by the police were shot with service pistols – 443 cases – followed by deaths by natural causes (113) and assault (104). Of those who died in police custody, 92% were men. Suspects in the 26-to-35 age group accounted for 47% of the total and children 5%. Game ON!! 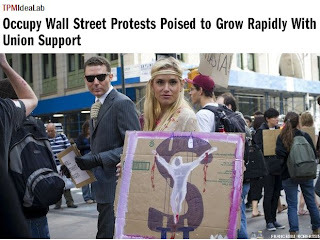 Collective Group With 1 Million Members Expected To Join Occupy Wall Street Protests! The article also comes along with the news that a collective of 8 groups, with over 1 million members. will be joining the Occupy Wall Street movement to show solidarity and march against the machine. The Union on Thursday used Twitter to urge members to take part in a massive march and rally on Wednesday, Oct. 5. That effort is being co-sponsored by another eight labor and community outreach organizations. The other eight organizations expected to join in the October 5 rally, based on its Facebook page, are United NY, Strong Economy for All Coalition, Working Families Party, VOCAL-NY, Community Voices Heard, Alliance for Quality Education, New York Communities for Change, Coalition for the Homeless, which have a collective membership of over 1 million. Meanwhile, the New York Metro 32BJ SEIU, which represents maintenance workers and security officers and counts some 70,000 members, is also re-purposing a previously planned rally on Oct. 12 to express solidarity with the Occupy Wall Street protesters, the Huffington Post reports.